Those office design and real-estate overhead decisions are typical. But hearing people are still doing it the pre-technology way is what unleashes the passion Vivadelli has for identifying and eliminating waste within large commercial firms and federal agencies. “You can’t run a business and remain competitive by looking at a very small subset of financial transactions for a short period of time and then apply those measurements for the rest of the organization.” he said. Vivadelli believes technology has made it easy and inexpensive to measure actual office occupancy costs, and the difference in accuracy and savings is a competitive advantage fueling the leading firms. He studies everything from in-office usage of staff members to the lost productivity from last-minute cancellations of a booked conference room. In this interview, Workspace Design Magazine publisher Bob Fox interviews Vivadelli. What is wrong with taking a snapshot of workspace costs in time as a baseline for generating estimates? It’s inherently biased to that time based on costs, not usage. Organizations today are making multi-million dollar decisions based on the amount of real estate they need designed, programmed, and laid out based on these moments in time. That model doesn’t hold any more water for design than it does for the raw financials of an organization. What do you suggest otherwise? First, the operational value of knowing on a daily basis of who’ s in and who’s out when it comes to meetings.Ãƒâ€š If somebody doesn’t show up to a conference room planned for that person, that asset should get released immediately to be available for somebody else to use. But the reality is only 30-40% of all booked conference rooms are actually used. And people who need the conference room can’t find one when they need it because they’re all consumed but not used, so they go buy more conference room space at an outside hotel or service-office suite. Or they go to a coffee shop or lunch, where they’re now spending money on food in addition to time. This common scenario means the organization is being charged at least twice for the same usage purpose. Next, assigned desks aren’t being used either, and it becomes a productivity issue in addition to a real-estate issue. So you move to a hoteling environment, but here you’ve got an executive who’s making $300,000 a year without a desk when she needs one. So it’s less about coming up with an assigned or unassigned workstation scenario and more about studying what people need — and use — in the first place. But related to that point, there’s a bigger issue operationally when it comes to productivity: disaster issues. Who is where, when, if a disaster strikes can be monumentally important — and it’s overlooked with all-or-nothing approaches to utilizing workspaces. Again, it’s about the people here, and estimating the costs of what needs and roles those people serve in the larger functioning of the organization. But with so many people trying to cut costs and move to flexible work environments, how do you estimate space utilization? Space consolidation is a major reason why you’d want to know the actual use of space AND the actual space a person uses. Think of all the things you can do strategically with that information. For example, Every time you add a person without adding a desk, you make $15,000 a year. So what if you could add 100 people each week into your current infrastructure? In other words, the default isn’t always that you need more space for more people. In fact, I’ve found that’s actually rarely the case. Can you imagine the value of adding 100 people right now versus spending 9 months finding space for all of the people? Why don’t more people take this approach? If IÃƒâ€š knew the answer to that question, I’d be talking to you from a yacht in the Bahamas. But seriously, a big part of why this doesn’t happen normally is because of a combination of past behavior and traditional business expectations. What are some of the net impacts you’ve made with this kind of research for organizations? $8 Million saved by one transaction in one building in Midtown Manhattan — just by knowing their actual utilization. They saved another $35 Million annually, and when the guy who ran it left for another organization, he called me to come in and save millions at the new place. He said to me: “Once you do it with data, you can’t go back to doing it the other way. It’d be like a financial guy trying to do the numbers without knowing the sales and expenses.” I knew he got it. 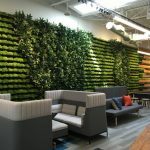 People latch onto the concept of “this is my space, this is my office.” But the economic benefits of not aspiring to the big corner office are so big, that making real-estate decisions based on utilization data must supersede that concept. It should, I agree. But more many, it still doesn’t. And how does “I need to have my own office” measure up against safety, security, sustainability, and profitability? The technology has freed us from the office. I don’t need that office anymore. So if I pay attention to utilization, my company’s productivity skyrockets while my real-estate costs plummet. Let’s not confuse shared offices with the actual measurement of the use of space. Knowing what space is actually being used can be done and implemented across the entire organization before you break the 1:1 relationships between people and desks. Once you have that data and have made those decisions, you can do continuous improvement over time. Next articleBehind the Curtain: Kimley-Horn & Associates, Inc.